However much I have enjoyed this summer (It’s actually been hot in England which is a miracle) I have to say I have been looking forward to Autumn for AGES mainly because of the books that are being released! There are just SO many amazing releases coming up and here are my top five! “The faction-based society that Tris Prior once believed in is shattered—fractured by violence and power struggles and scarred by loss and betrayal. So when offered a chance to explore the world past the limits she’s known, Tris is ready. Perhaps beyond the fence, she and Tobias will find a simple new life together, free from complicated lies, tangled loyalties, and painful memories. AHHHHHHHHHHHHHHHHHHHH. LOOK AT THAT COVER!! Isn’t it gorgeous??? 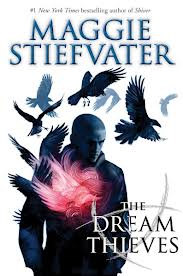 The highly anticipated last book in the Divergent trilogy is finally released in a few months (It seems like forever since Insurgent!!). I am so excited to see what happens to Tris and Four and I am also really excited for the upcoming movie (eeek) starring Shailene Woodley. 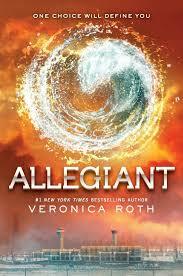 The Divergent Trilogy has become one of my favourite series and I am SO glad its getting the recognition it deserves! “At the conclusion of The Mark of Athena, Annabeth and Percy tumble into a pit leading straight to the Underworld. The other five demigods have to put aside their grief and follow Percy’s instructions to find the mortal side of the Doors of Death. If they can fight their way through the Gaea’s forces, and Percy and Annabeth can survive the House of Hades, then the Seven will be able to seal the Doors both sides and prevent the giants from raising Gaea. But, Leo wonders, if the Doors are sealed, how will Percy and Annabeth be able to escape? 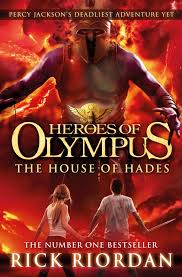 I am a HUGE fan of Rick Riordan and I am really loving The Heroes of Olympus series. If you haven’t read them, they are a spin off of the popular Percy Jackson series featuring characters old and new! I LOVED The Mark of Athena, especially the cliffhanger and I am desperate to find out what happens next to Percy and co. Rick Riordan has the ability to make every single one of his books SO exciting to read – there are so many twists and turns and of course, the writing is exemplary. I cannot wait to read this one! Pikey’s vision, it turns out, is worth something. Worth something to Hettie’s brother—a brave adventurer named Bartholomew Kettle. Worth something to the nobleman who protects him. And Pikey is not above bartering—Pikey will do almost anything to escape his past; he’ll do almost anything for a life worth living. 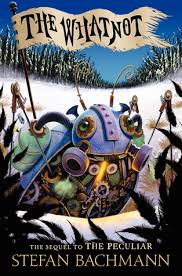 I absolutely loved Stefan’s first novel, The Peculiar – it was a treasure trove of whimsy and steampunk, with a fairy or two mixed in! It was beautifully written and the story was SO good and I really, really, really want to know what happens next. “September misses Fairyland and her friends Ell, the Wyverary, and the boy Saturday. She longs to leave the routines of home, and embark on a new adventure. Little does she know that this time, she will be spirited away to the moon, reunited with her friends, and find herself faced with saving Fairyland from a moon-Yeti with great and mysterious powers. I ramble on about how much I love these books too much anyway, but they are seriously magical and I cannot put my excitement into words at the release of the third book! My reaction is basically AGRGHJYFFKKBGFJJKKKLVCC. There are no words. I just need October 1st to hurry up and get here, like now. ARGHH only three more days!! I loved The Raven Boys and I am really excited to find out what happens next! I have also seen SO many great reviews on this and I am just itching to read it! I almost ruined my life by reading The House of Hades summary. I’m about to FINALLY read The Mark of Athena so I’m excited that as soon as I do I can read the next one. I haven’t read the second one in the Fairyland series mainly because I thought it could have ended with the first one. Clearly I am wrong. The Whatnot looks cute. I will have to see if I can get the first one at my library. Nice post! AH I’m so excited – only a month to go! 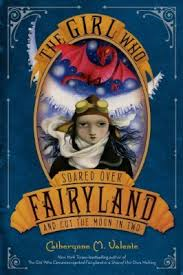 I can definitely recommend the Fairyland sequel – I loved it! Thanks for stopping by! I KNOW!!!!! I can’t wait! !